Home » Health » What Is Empyema? Empyema is a condition when a collection of pus forms in the pleural space, which is the area that lies between the lungs and the inner surface of the chest wall. Empyema usually occurs after a person has lung tissue infection ( pneumonia ). Normally, the pleural space is filled with fluid, but not much. If there is an infection, there will be more fluid production in the pleural space, so that the absorption of fluids carried out by the body cannot compensate. The infected pleural fluid thickens, forms pus, and can cause the lining of the lungs with the chest cavity to attach and form sacs. This pus sac is called empyema. Pneumonia, is the most common cause of empyema. Infection in other parts of the body and spread to the chest cavity through the bloodstream. Underwent surgery on the chest. X-rays and CT scans. Both methods of examination will be performed on the chest to indicate the presence or absence of fluid in the pleural space. Chest ultrasound , to find out the amount of fluid and the actual location. Blood test. This examination is done to determine the number of white blood cells and C-reactive protein (CRP). Increased white blood cells and CRP can occur when an infection occurs. Thoracocentesis. During the thoracocentesis procedure (pleural puncture), a needle is inserted through the back of the chest between the rib cage into the pleural space to take fluid samples. The liquid is then analyzed and the cause is sought. Antibiotics. Treatment of infection is done using antibiotics that are tailored to the type of bacteria that causes the infection. Percutaneous thoracocentesis. In addition to the diagnosis, thoracocentesis or pleural puncture can aim to expel fluid in the pleural space. This procedure is usually performed in cases of simple empyema. Thoracostomy . In this surgical procedure, the doctor will insert a plastic pipe into the chest through a hole made between two ribs. Then, the doctor will connect the plastic pipe to the vacuum to remove the liquid. The doctor will also inject drugs to help remove fluids. Video-assisted Thoracic Surgery (VATS) . The surgeon will remove the infected tissue around the lungs, then insert the hose and use drugs to drain fluid from the pleural space. The doctor will make three incisions and use a small camera called a thoracoscope in this process. Open decortication. This surgical procedure is carried out by lifting the fibrous layer (fibrous tissue) that covers the lungs and pleural space. This action is done to restore lung function so that it can expand and deflate normally. Sepsis . This condition occurs as a result of the body's immune system working continuously against infection. During this process, a large amount of chemicals are released into the blood, which triggers increasingly widespread inflammation and can cause organ damage. Symptoms of sepsis include high fever, chills, rapid breathing, rapid heartbeat, and low blood pressure. Lungs collapse ( pneumothorax ). 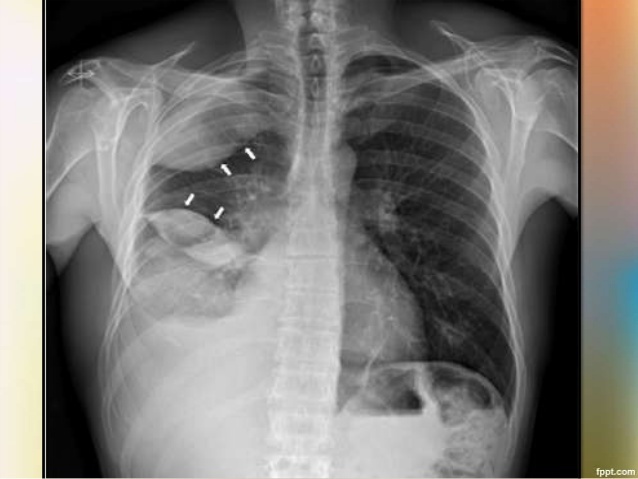 Lung collapse can cause sudden chest pain and shortness of breath. This condition will worsen when coughing or breathing. If you don't get treatment right away, the consequences will be very fatal. 0 Response to "What Is Empyema?"